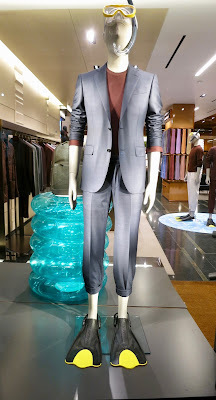 Zegna always produce superb quality window installations although we rarely see any humour from them. That is until now. 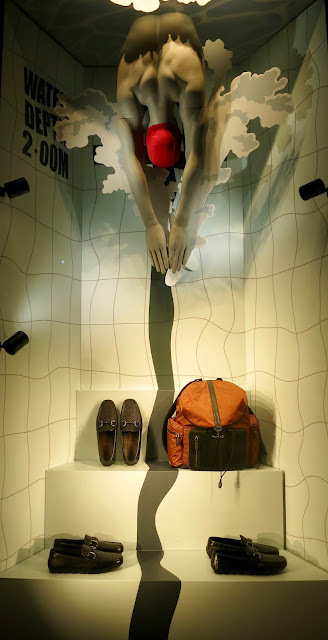 With their beautifully dressed mannequins in of course superb and very expensive products, there is at least one brand which lifts the spirits along what otherwise is quite a dull high street right now. 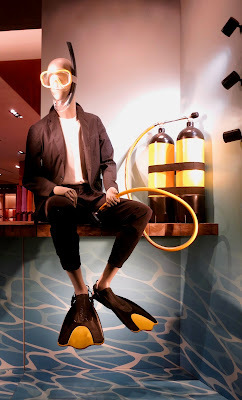 Complete with diving flippers, snorkel and breathing apparatus thankfully Zegna are investing in their Visual Merchandising (which is absolutely the right thing to do when the going gets tough).